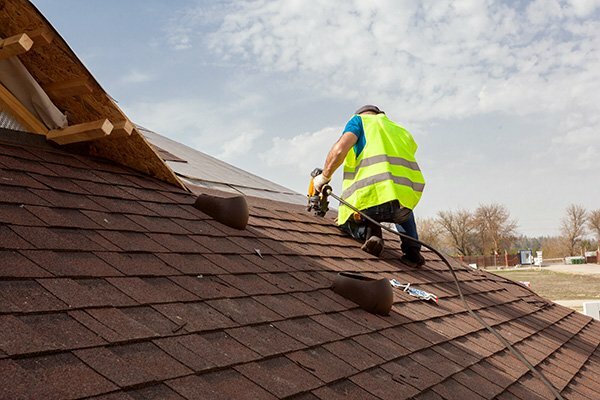 When you need a new roof or you need to replace your roof, one of the most important decisions you will have to make is the type of roofing materials to use. Finding the right roofing materials is the first step to keeping your property safe and ensuring your home has great value. In the roofing industry, there is a distinct difference between materials used for residential or commercial roofing projects. The key to a successful roofing job is gaining an understanding of the quality of residential roofing and commercial roofing supplies in Scarborough. In this piece, we narrow them down to help you make the right choice that’s pertinent to your roofing project. Asphalt shingles are the most common roofing materials used in residential buildings. Their widespread usage stems from the many advantages they have to offer. Asphalt shingles are quite affordable compared to other roofing materials on the market and easy to install in steep slope applications. In addition, they are available in a wide variety of textures and colours to choose from. Furthermore, asphalt shingles are fashioned to be durable, especially when they are reinforced with cellulose or fiberglass. Wood shingles have been used on residential buildings for centuries. They are compared to some other roofing materials for their attractive and rustic look. They are designed with certain insulating properties that make them highly durable. When it comes to various housing styles, wood shingles come in a wide variety to choose from. It is worth noting that they are more expensive than asphalt shingles but still lie on the low end as far as cost is concerned. Metal roofing is highly common for residential roofs, which is mostly attributed to the durability metal has to offer. Metal roofing has a life expectancy of 40 to 75 years, depending on how you care for it. Metal roofing is a top choice for some homeowners because it is sleek, lightweight, recyclable, malleable, and resistant to weather. On the downside, metal roofing is relatively expensive compared to other residential roofing materials. Thermoplastic polyolefin roof (TPO) is among the common commercial roofing supplies in Scarborough for many reasons. For starters, it is an inexpensive commercial roofing material, it is lightweight and thus can be installed in a myriad of different ways, it is resistant to breakdown and corrosion, plus it’s not prone to algae growth or mildew. EPDM, also known as rubber roofing, is one of the most affordable commercial roofing supplies in Scarborough. Furthermore, it is lightweight, easy to install and has a life expectancy of up to 20 years. Thanks to its black colour, it is not easily damaged by UV rays, plus it absorbs heat. This is a residential roofing material used for low-sloped roofs and one of the most inexpensive roofing materials, as well. In addition, it is relatively easy to install. Unfortunately, it is not very durable compared to other commercial roofing supplies in Scarborough. Prior to your roofing project, ensure you do your due diligence by conducting in-depth research on the best materials that will suit your roofing project. We trust that the information above will go a long way in helping you make the right decision.